Hey folks! 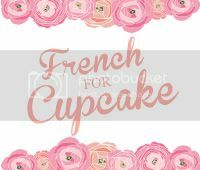 Sorry Cake Mondays has been a bit MIA lately! I can't remember what happened 2 Mondays ago, and last week I did bake but we were having a party on Monday so I sorta forgot...oops. 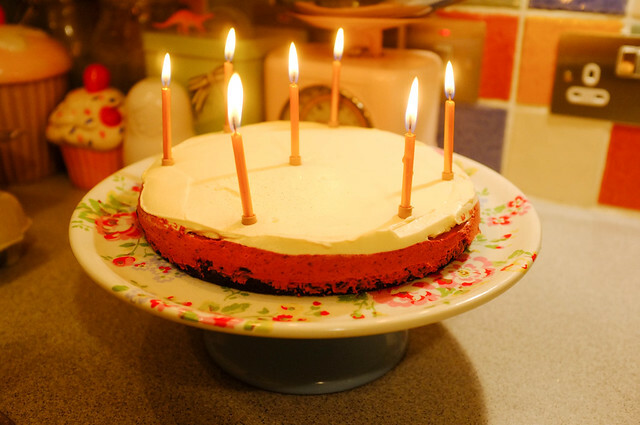 Anyway, it was Ali's birthday a few days ago so while he was distracted playing with all the Star Wars lego I bought him (he turned 25) I made him this red velvet cheesecake. 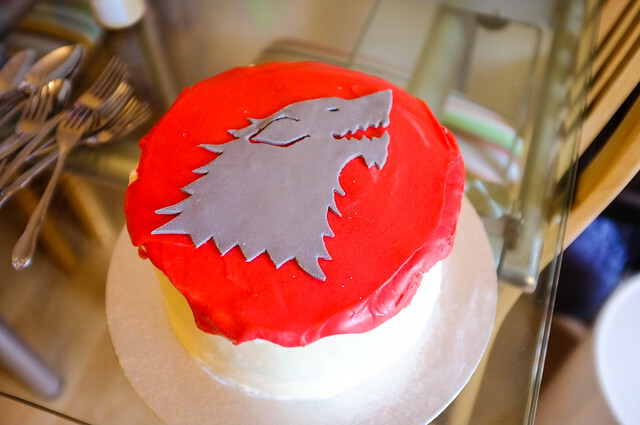 We'd had a bit of cake overload since I baked this Direwolf chocolate cake for the party on Monday (it was a Game of Thrones Season 3 premiere party! ), so cheesecake was a bit of a change! So, on to the cheesecake! I was an idiot and used a pan that was too wide, so the cheesecake came out really thin. I whipped up some of the cheesecake-like frosting from the Nigella guiness cake to top it up with, this frosting is actually nearly 100% the same recipe as Nigella's cheesecake recipe - so once chilled it sets like a normal cheesecake would - plus I think the red and white looks pretty! This is super easy to make, like...if you can't make this you might have something to worry about. Enjoy! 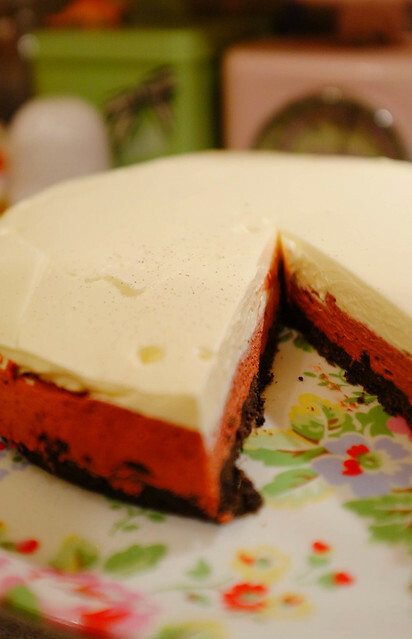 Red Velvet Cheesecake - from Edd Kimber's 'Say it with Cake'. -200g oreo cookies (recipe says with the filling scraped off, but I just mixed them all. What's an oreo without the filling?!). -230 full fat cream cheese. 1. Put the oreos in a bag and crush them with a rolling pin, or if you're fancy use a food processor. Melt the butter and mix with the cookies. Squash into a 20cm tin or pie plate and put in the fridge until needed. 2. Melt the chocolate and set aside. Beat the cream cheese and sugar together until smooth and creamy. In a seperate bowl, whip the cream, Fold into the cheese mixture, then add the red food colouring. Pour in the chocolate and gently fold in. 3. Take the cookie base out of the fridge and spread the cheesecake mixture on top. Leave in the fridge to chill for 2 hours or overnight. 4. Once your cheesecake has chilled, mix up a batch of this frosting to top it off with. Just spread it on and serve! Yum! 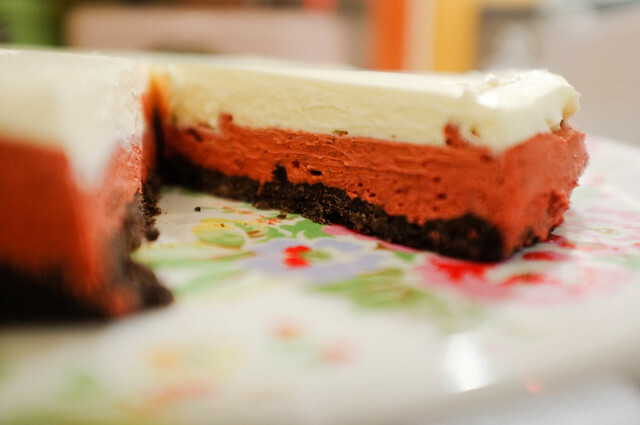 Oh my goodness, this sounds delicious, I love the red layer! 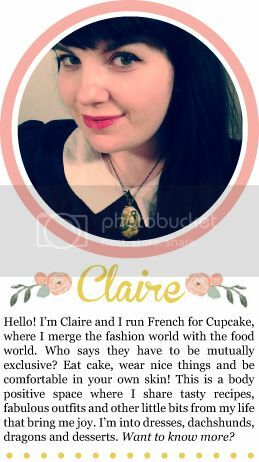 I want a piece of cake! These will indeed be made tomorrow! They look so good and I love the colors. Yum! I love Lamp: Next Home.